This week, Senate Bill 63 was signed into law, which will ban smoking tobacco, marijuana, and electronic cigarettes inside places of employment statewide. The bill mirrors local laws already in place in Anchorage and other cities. About half of Alaskans already live in communities that have chosen to prohibit indoor smoking in public, so this bill would extend to the rest of the state. This week, my constituents should be receiving a copy of my State Budget & Fiscal Policy Newsletter in their mailboxes. You can find a PDF version here. This newsletter is an update on the state’s operating and capital budgets for the new fiscal year, which began on July 1, and fiscal policy legislation that passed this session, including the latest on your Permanent Fund Dividend. Please feel free to share your feedback and questions anytime. In the last week, we have heard an outcry from Americans across the nation, including Alaska, in passionate opposition to the Trump Administration’s zero-tolerance policy for people attempting to enter the U.S. from the southern border to seek asylum. Most of us think of Memorial Day weekend as a time to relax, work on the yard, throw a barbeque, or get out of town for the long weekend. But Memorial Day is of great historical significance for every American. Juneau – Today, the Alaska Legislature passed legislation to expand job opportunities for veterans and members of the National Guard. 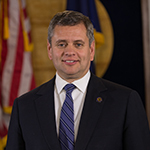 House Bill 2, sponsored by Representative Chris Tuck (D-Anchorage), is supported by the United States Department of Defense and the National Federation of Independent Businesses-Alaska. The bill gives private businesses in Alaska the ability to offer a hiring preference to veterans of the armed services and members of the National Guard. Juneau – The Alaska Legislature passed a bill Thursday sponsored by retiring State Representative David Guttenberg (D-Fairbanks) to update state law related to the burning of forested lands. House Bill 355 passed the Alaska State Senate Thursday after passing the Alaska House of Representatives last month.